BOSS Orange Paris Bracelet Watch is rated 5.0 out of 5 by 1. 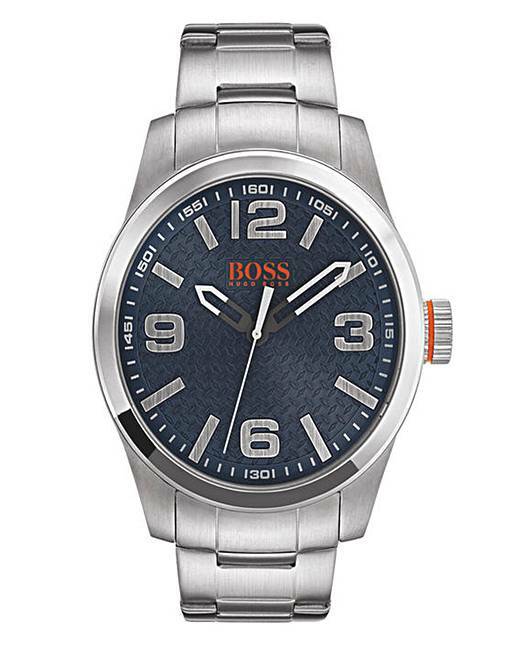 BOSS Orange Paris gents bracelet watch. Features include: 42mm wide case, stainless steel case and dark blue dial. Water resistant to 30 metres. Rated 5 out of 5 by Adolph77 from Great Watch Bought this to add to my growing collection of Hugo Boss Orange watches, the name says it all, this is a quality little time piece.